Combine the drained dal and ¼ cup of water in a mixer and blend to a coarse paste. Transfer the mixture into a deep bowl, add semolina, besan, coriander , green chilli paste, garlic ginger, salt and mix well. 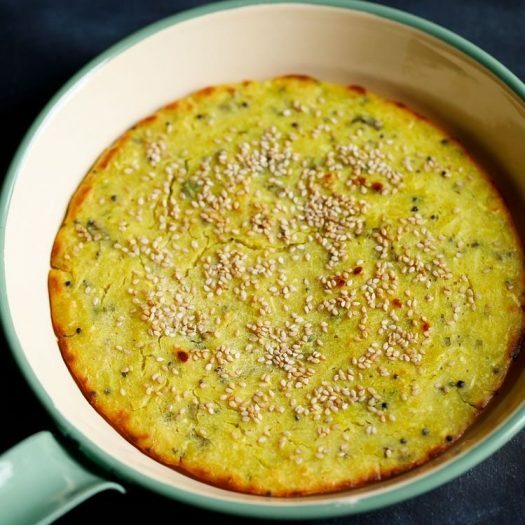 Heat oil in a non-stick pan and add mustard seeds, sesame seeds while saute it for a few seconds. Pour the batter over it and spread evenly. Cook for 10 minutes on a low flame until the base turns golden brown and crisp. Flip it over and cook until crispy on both the sides. Cut the assorted veggies in bite size pieces. Cut the paneer into small cubes and set aside. In a pressure cooker, add some oil and cumin seeds. Next add in the ginger garlic paste and saute for 30 seconds. Add the vegetables and paneer, biryani masala, salt and cooked amaranth once the veggies are tender. Add little water and cook well for 2-3 whistles. Top it up with cilantro and mint leaves. 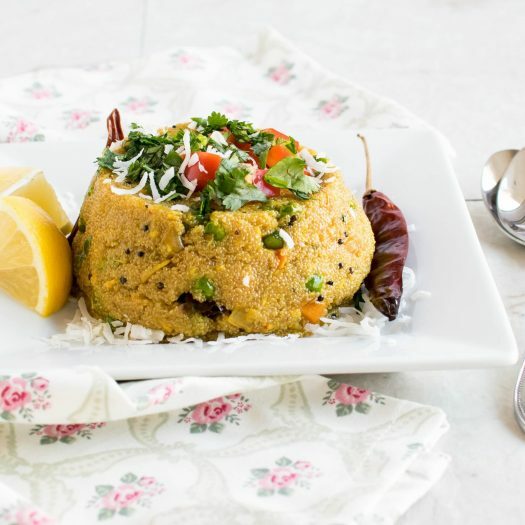 Serve with your favourite raita or just simple curd. Dry roast the soya flakes over a medium heat. Cool and grind to a powder. Preheat the oven at 200 degree. Grease the baking sheet with little oil. 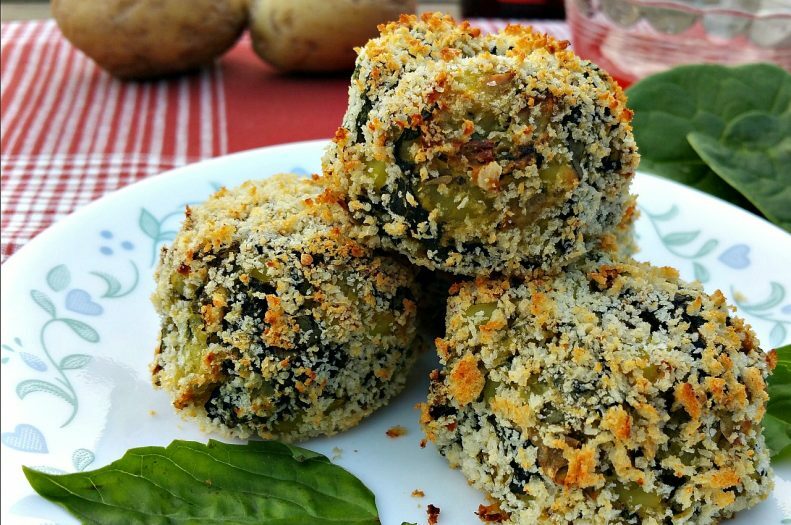 Bake spinach balls in a pre-heated oven for about 20 minutes or till outer layer turns crisp and brown. Lightly cook the tortilla on both the sides on a non-stick tawa and keep aside. In a pan, saute onions until translucent. Add in bell peppers followed by mushrooms. 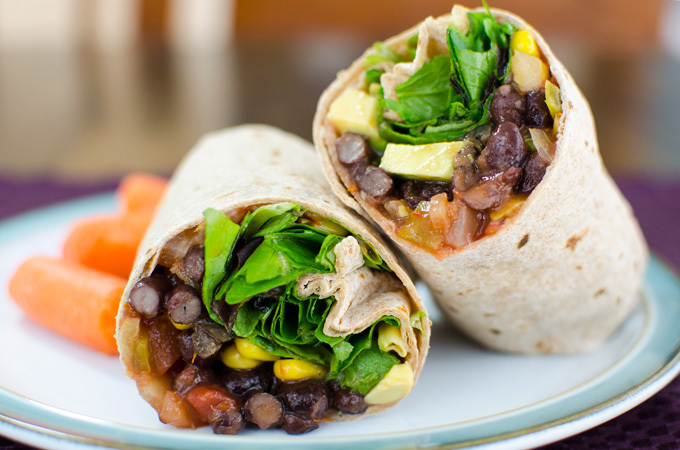 To assemble the wrap, spread 2 tbsp of hummus on the wrap, add all the veggies, beans and spinach leaves. Roll into a burrito. Place it on a preheated baking tray. Bake for 8-10 minutes. Serve the wrap warm and serve with salsa.